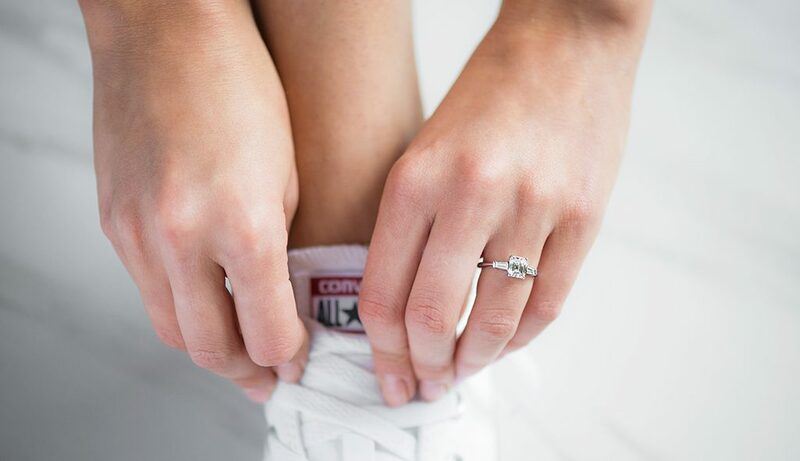 Calling all glove-wearing doctors, athletes, bakers, hairdressers, researchers, gardeners, and non-stop women out there: these are the best engagement rings for active lifestyles! If you or your SO’s day-to-day includes a lot of hands-on work, you might want to opt for a more durable engagement ring style. That doesn’t mean you need to sacrifice on sparkle! 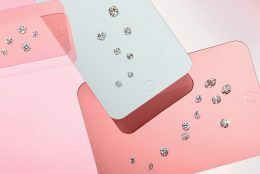 Engagement rings for active lifestyles can be just as modern, blingy, or unique as any – it’s all a matter of finding the perfect ring. The less the sides of the diamond are exposed, the better; and bezel settings are a super-sleek way to get that done. Bezel-set rings encase the diamonds so that the surfaces shine. Even if you’re looking for a more classic look than bezel, we’d suggest choosing a setting that encases part of the diamond. One way to prevent diamonds from falling off your engagement ring band? 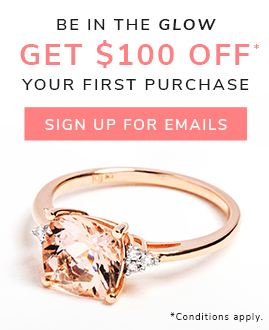 Go for a clean solitaire! Solitaire engagement ring settings are timeless and can minimize stress. 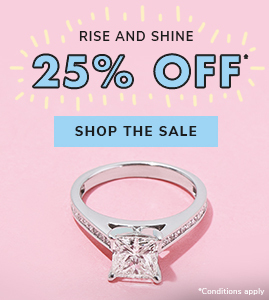 Though we’d recommend a bezel-set solitaire engagement ring for active lifestyles, solitaire rings also come in tons of personalizable styles. The wider the band, the more securely it holds the center diamond. We love how this specific ring adds a touch of bezel sparkle on the sides! One note to keep in mind: wider bands tend to be better for those with larger hands, while they may overwhelm those with hands that are more petite. Platinum is the most durable engagement ring metal, which make them great engagement rings for active lifestyles. In addition to keeping your diamonds in place, platinum’s high shine brings out diamond brilliance. Platinum engagement rings are also a low-maintenance, hypoallergenic choice for those with metal sensitivities. Similar to pavé engagement rings, the bands of channel-set engagement rings are lined with diamonds. The catch: channel-set bands won’t catch on fabric! Channel-set diamonds are secured together by a thin strip of metal rather than prongs for each individual diamond, which gives you a glossy sheen and more diamond security. If you’re concerned about diamonds chipping or ripping fabric, you might want to aim for symmetrical shapes with rounded corners like cushion cut diamonds or round brilliant cut diamonds. Both diamond cuts have their benefits: cushion cut diamonds give a classic glow, while round cut diamonds offer unparalleled sparkle. We’ve got to hand it to you: here are more beautiful ring options with super secure sparkle. 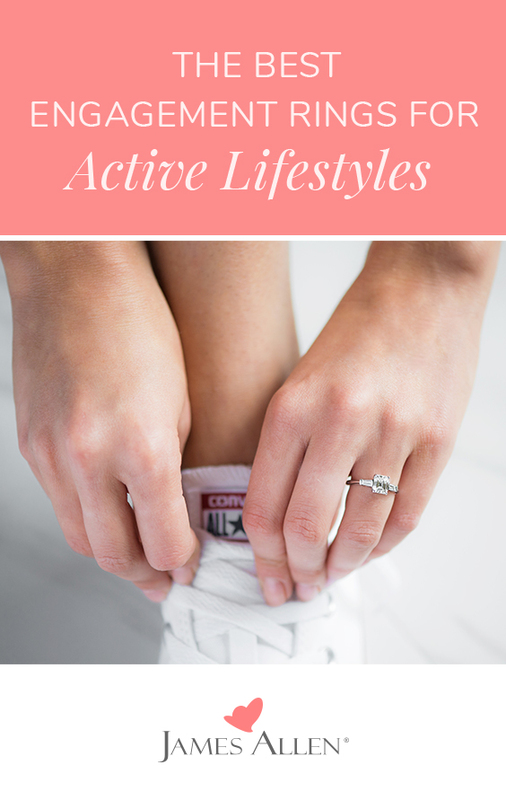 Ready to find that active lifestyle bling? Love one (or more) of the durable rings in this post? 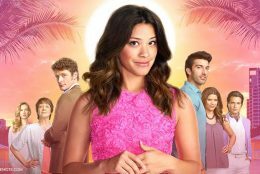 Share the love on Instagram, Facebook, Twitter, Snapchat, or in the comments below!